How will this site redesign template guide help me? When starting a website design project, it is essential to communicate with the team completing the project as clearly as possible, whether they are an in-house department, a freelancer or an agency. By laying out the details of your project from the very start, all stakeholders have a united vision to work towards which reduces time spent negotiating edits in the future. Our template has been structured to guide you through each essential stage of the briefing process. You'll be prompted to write summaries for important details from budget and timescale to target audience and competitor/market considerations. Since most existing companies invest in redesigns rather than new site builds, it focuses on this. However, it can also be used for new site launch, such as a campaign microsite. It's been designed to provide as much information as possible to allow for an accurate quote and time estimate to be created. Ultimately, the aim is to elicit an accurate, effective response to the brief and therefore a successful website. We’ve created this template to help client-side digital marketing and e-commerce managers brief a website design and build project to either an in-house team or to a digital/web design partner. Digital agencies, web design agencies and consultants will find it useful for briefing in their own specialist suppliers, or to provide to clients, to define the requirements they are looking for from their clients. Agencies may also find it useful to review their proposals against. How is this template structured? The template includes 12 sections laid out in a table format in Word so that the brief is quick to create and clear for reviewers. This content is evergreen and has been updated to our newest branded document style to ease readability. 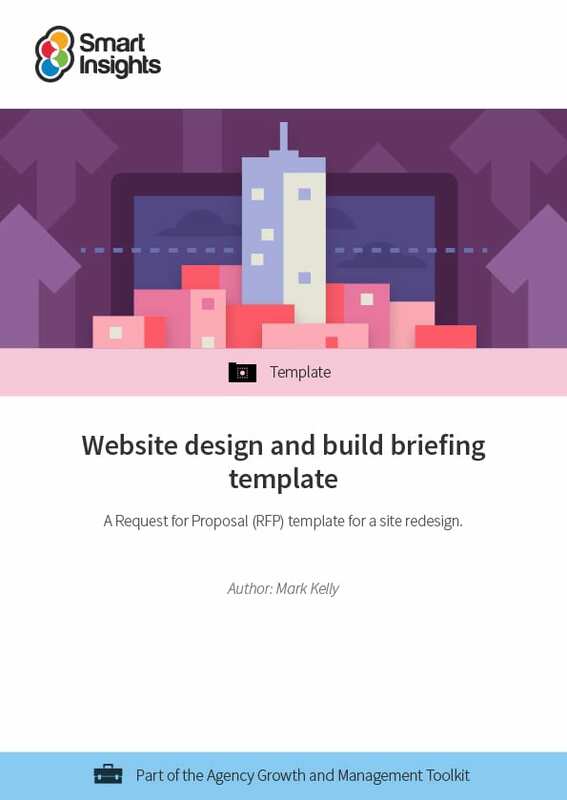 Agency pitching presentation templates – If you’re planning a website redesign project as part of your agency’s pitch to a prospective client, use our dedicated pitch deck to get buy-in to your ideas.